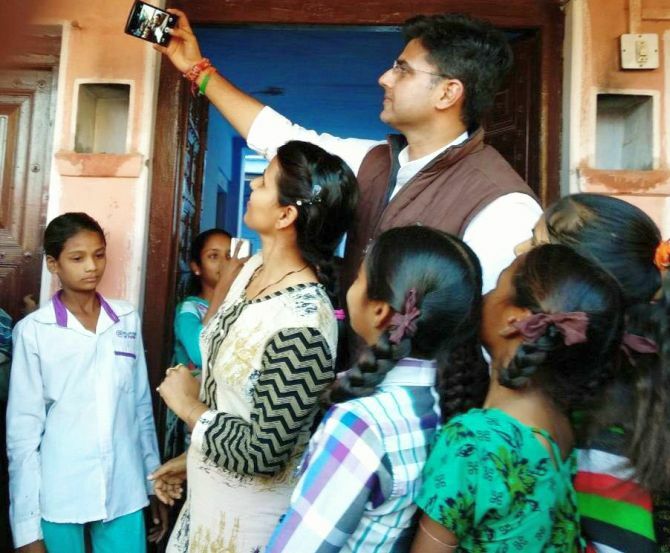 The Congress leader, responsible for the party’s victory in the recent bypolls, has slogged it out, meeting people, establishing contacts and listening, all the time, to people, reports Aditi Phadnis. In November 1978, D B Chandre Gowda resigned from the Chikmagalur Lok Sabha seat in Karnataka and Indira Gandhi announced her decision to contest that bye-election. There was considerable resistance from Chief Minister Devaraj Urs but Gandhi ignored that, going to the Sringeri and Dharmasthala temples to seek blessings and then plunging into the campaign. The Janata Party fielded Veerendra Patil. That victory enabled her to become leader of the opposition in the Lok Sabha, toy with Charan Singh, and finally return to power in 1980 to lead a Congress government and become prime minister. It was a by-election that started it all. In Rajasthan, the Congress has won two Lok Sabha and one assembly by- elections. The margins are convincing and huge: Raghu Sharma of the Congress defeated former Union minister Sanwarlal’s son Ramswaroop Lamba of the Bharatiya Janata Party by 84,414 votes. It was Sanwarlal’s death that caused the by-election. In the 2014 Lok Sabha polls, BJP had won this seat by nearly 172,000 votes. 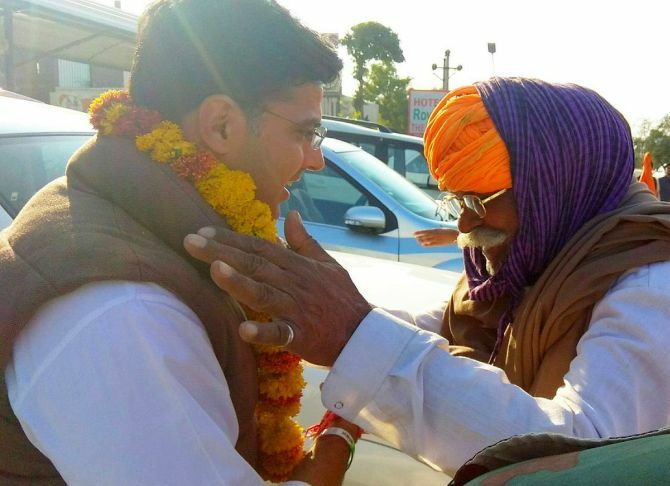 In Alwar, Karan Singh Yadav of the Congress defeated Rajasthan’s labour minister Jaswant Singh Yadav of the BJP by a margin of 196,496 votes. This seat was won by the BJP by nearly 2,84,000 votes in 2014. In the Mandalgarh assembly by-election, Vivek Dhakad of the Congress defeated Shakti Singh Hada of the BJP by 12,976 votes. The architect of this victory is clearly Sachin Pilot, chief of the Rajasthan unit of the Congress. Those who have seen Pilot work say he is indefatigable: He might have lost his own Lok Sabha election in 2014 (from Ajmer, to Sanwarlal, incidentally) but he worked as hard for subsequent polls, no matter how small. He would slog it out, meeting people, establishing contact and listening, all the time, to people. The Congress won panchayat and local body elections, small and big. The credit for these victories should also go to Pilot. His elder in politics, Ashok Gehlot, has not had an easy time of it in his career and the reluctance of party seniors, C P Joshi and Gehlot, the antipathy between them the Congress’s worst kept secret, to make space for a younger leader like Pilot has kept him defensive and constricted. Now, after this victory, there is hardly any doubt that Pilot will have elbowed Ashok Gehlot out and will be working not just for a Congress victory in the upcoming assembly polls but also to become chief minister. Interestingly, Raghu Sharma was a Gehlot protégé. He appears to have shifted sides. The BJP spared no effort to ensure a victory. Prime Minister Narendra Modi re-inaugurated a refinery at Pachpadra in Barmer weeks before the election (it was first inaugurated by the Congress government) with the express purpose of declaring how much the BJP government had done for Rajasthan. But it didn’t work. Rajasthan has a history of voting out incumbent governments. But that could be too simplistic an explanation. 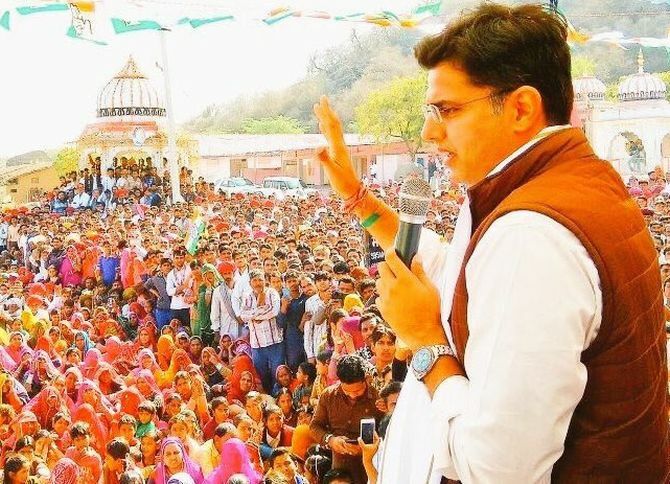 The fact is that Sachin Pilot may not be Rajasthan’s best orator, might not have Gehlot’s legendary connect with the ground and C P Joshi’s outreach. But he will be a fitting rival to Vasundhara Raje.